Whether you're looking to sharpen your already stellar comedic writing or acting chops, or dip your toes in the sketch comedy pool for the first time, we're here to help. All KML classes are structured to mirror our original process for creating fast, smart, fearless sketch comedy and will prepare you to think creatively, in a unique environment. EMPATHY- We believe in empathy and listening to each other. We foster a supportive and respectful environment and encourage self awareness without judgement. PROFESSIONALISM - We are professionals who create a structured and consistent experience that values your time and work. GROWTH - We strive to help each student grow. We start with a solid curriculum which reflects our comedic philosophy. We give honest, articulate, and objective feedback. Above all, we challenge students to move beyond their comfort zones with our support. TEAMWORK - We foster open dialogue, and celebrate each other's successes. PLAY - We create an open and playful environment which celebrates mistakes. All our instructors are KML writers and actors who work consistently on KML productions and have first hand experience working quickly and utilizing the skill sets they teach to incoming students. For more info on our instructors, click here. Click on the class you want to know more about, and start on your way to becoming part of the KML comedy community. Learn the fundamentals of sketch comedy writing and develop your comedic voice in a fun, supportive environment. 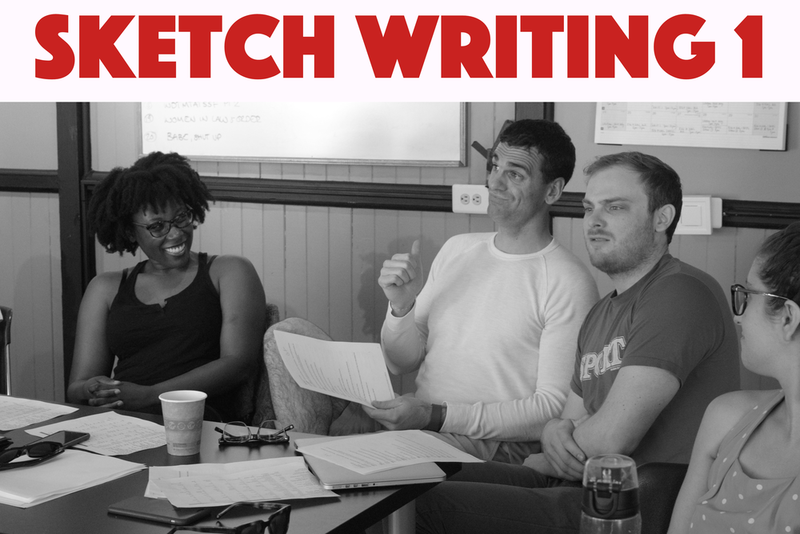 Sketch Writing 1 is open to all experience levels. Learn to perform sketch comedy The KML Way: through intuition, dedication, and collaboration. Learn to take risks, trust your instincts, and "find the game." Sketch Acting 1 is open to all experience levels. Expand your knowledge of the craft of sketch comedy writing, and workshop your sketches with professional actors. Sketch Writing 2 is open to students who have completed Sketch Writing 1. Build on your skills and challenge yourself to widen your playable character range. Learn to identify and flip status within a scene and sharpen your pacing instincts. Sketch Acting 2 is open to students who have completed Sketch Acting 1.